Shopify is a Canadian e-commerce organization and its main office is in Ottawa, Ontario. It has a very solid e-commerce platform for its customer. Shopify provides best services like payments, marketing, shipping and customer engagement to all of its online retailers, distributors and its customers. It is also a good fit for small merchants online stores. Individuals can control it without professional development skills. It is really easy to use the mechanism. Our qualified and professional software engineers have worked on these projects with the aim to satisfy our valued customers. 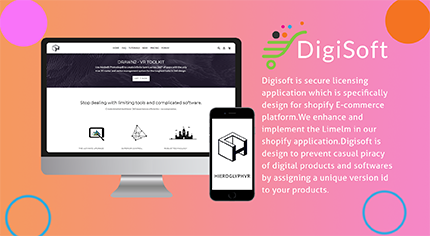 Digisoft is a secure licensing application which is specifically design for Shopify E-commerce platform. We enhance and implement the Limelm in our Shopify application. Mooyee is Electronic Muscle Relief gadget store which sells the muscle relief instruments and pads. There is a separate section on a store for retailers and distributors. This store is built using premium Shopify theme “Parallax”. 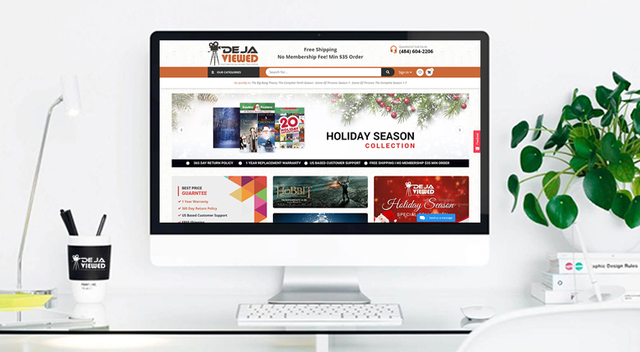 Dejaviewed is leading online old movies shop which has more than 50,000 movies in stock with Blue Ray, DVD and 4k videos. The design, theme for Dejaviewed is custom develop by Glowlogix. EcoFrank offers a vast selection of the best quality compatible toner cartridges at prices you can afford.s. It’s a 3D Printing Pen that allows you to draw in the air! Unleash your creativity and lift your 2D creations off the page.